TurnKey Product Management helps companies automate their sales growth on Amazon. Full-Service Amazon Channel Management: let TurnKey’s team manage Amazon for you! TurnKey Systems For Amazon Online Training Program: We hand you our internal strategies and standard operating procedures for your team to implement. TurnKey’s Inner Circle 1-on-1 Coaching Program: Accelerate your progress on Amazon with a personalized support system offering you one-on-one coaching with one of our TurnKey Consulting Experts. Our clients sell over $10,000,000 per year on Amazon. Some of our most successful clients have been clients that launch products on Kickstarter using Launchboom, and then use TurnKey to help launch on Amazon. 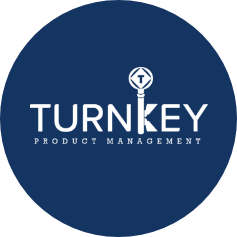 Visit TurnKeyProductManagement.com for a free consultation or resources. If you have a current or past campaign, please enter the URL. Provide a brief project overview and summary of your needs.